and I’m so so happy to be over here at Kim’s place to share some fun summer inspiration …thanks for having me Kim! I have two young girls that love to craft with me, and summertime is prime craftin’ time at our casa. The girls have recently put their pompom makers to good use! 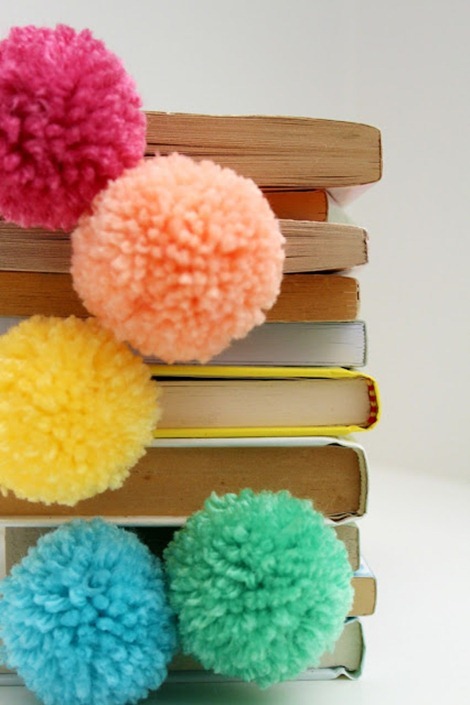 …meaning we have pompoms kinda layin around everywhere. 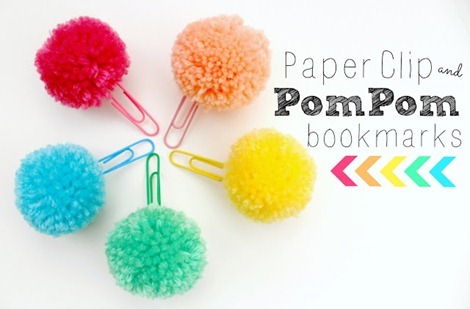 Pompom’s are super simple to make, directions come with the tool, or a quick search on Pinterest will produce easy instructions to make your own with cardboard & some scissors. 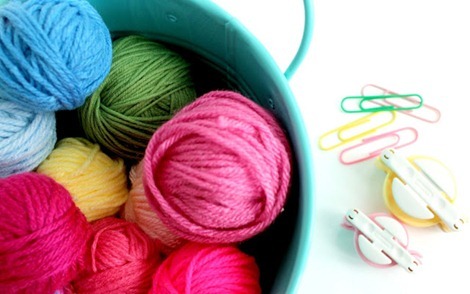 It’s a great way to use up itty bitty balls of scrap yarn too! 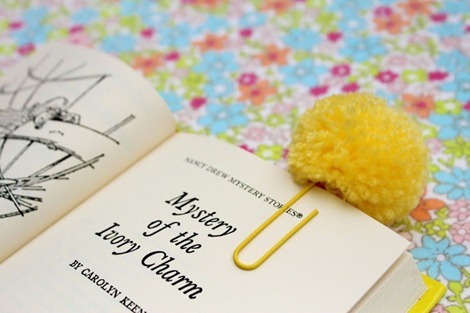 With pompoms a plenty we decided to do something crazy & wild … and make bookmarks. Ok, not so crazy, but perfect for summer, when books & kids go hand in hand. 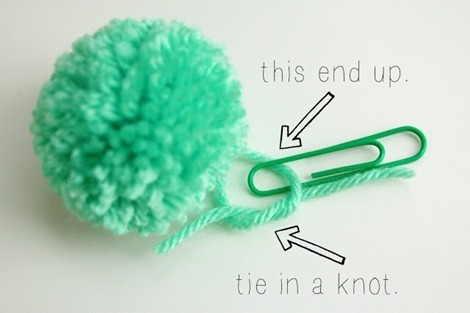 Once the poms are finished, you’ll end up with a tail of yarn, just right for tying onto paperclips. We got all rainbow crazy and matched our colors up. Just make sure you’re tying the yarn to the right end of the clip and then go ahead and double tie … maybe even triple tie. The pom will slide on the paperclip but won’t be goin’ anywhere. Now the super fun part … make tons. And they are addicting, so watch out! 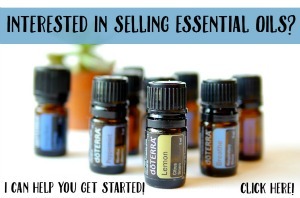 Maybe even put them in a little jar, with a stack of yard sale books for a birthday gift idea? 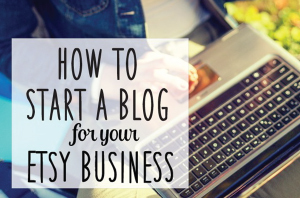 Be sure to visit Jaime at her blog, Raising Up Rubies, for cute stuff all the time! She also has a fabulous shop full of pretties. This post is part of our Summer Splash Series of sizzling summer projects and printables! Have you missed any of these creative posts??? Join us each Friday for our Crafty Girl Linky Party! Link up your latest project and meet new crafty friends at the same time. Don’t miss any of this Summer Splash fun by subscribing to Everything Etsy in the box below. Very cute craft…great photos too! 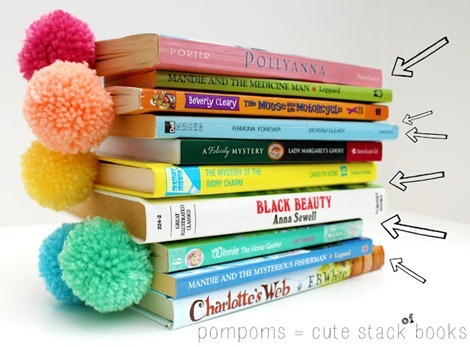 Love the idea of gifting pom-pom bookmarks and a stack of (re-cycled) books! 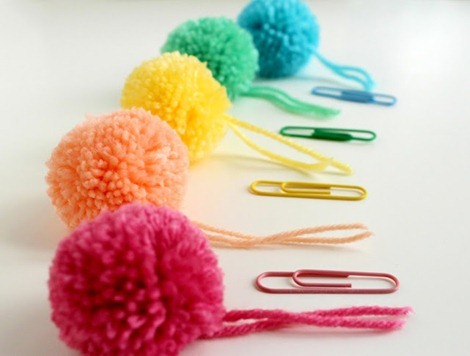 This is a silly questions, but how do you make the pom poms ? Previous Post Crafty Girl Linky Party–Join Us!